In the mid-twentieth century, Florida was the number one destination for retirees keen on spending their golden years away from the cold. A couple of decades later, people started looking for new destinations, such as Georgia, Oregon, Colorado and the Carolinas. However, The Sunshine State is still the ultimate choice among seniors from all over America. If you are thinking about moving to Florida after retiring, weigh up its advantages and disadvantages before making the final decision. What the downsides or moving to Florida are. Florida has no state income tax. This is a big deal because all forms of retirement income, like Social Security income, are tax-free. This is how retirees can save thousands in taxes. Some states manage to make up for the lack of this revenue with higher sales or real estate taxes, but not Florida. Sales and property tax rates are not much higher than the national average. Moreover, there are no estate or inheritance taxes. The cost of living is average or below average. In comparison to the Northeast, Florida is rather cheap. Everything from food and housing to health care costs less. One of the most beautiful but expensive cities in Florida is Miami, however, there are lots of great places that are cheaper. The climate is wonderful, especially in the northern part of the state. Florida’s climate is humid subtropical and tropical in the Keys. It is truly a sunny state, with pretty high temperatures. The average temperature in the summer is 81F (27C). The average winter temperature is 60F (16C). If you are one of those who dislike snow, you can relax because it never snows in Florida. If sitting in a rocking chair and watching TV is not your cup of tea, there is a variety of fun activities for everyone. Plus, as a Florida resident, you can get discounts for many attractions. Relocating to Florida after retiring would be a perfect choice for active seniors. Museums: Apart from history, art and military museums, there are many specialty museums like The Ernest Hemingway Home and Museum, NASA Kennedy Space Center Visitor Complex or the Muscle Car City Museum. Theatres and movie theatres: At Florida’s theatres you can see a world-class contemporary or classic play, ballet or musical. There’s Olympia Theater, Orlando Shakespeare Theater, Venice Theatre or Broadway Palm Dinner Theatre, to name a few. Nature: The beaches are stunning and always close to you. In addition, you can explore breathtaking nature trails, rivers, springs and lakes. Wildlife: Florida is full of exotic animals and plants you have never seen before. For instance, bird watching is one of the popular activities. Water-related activities: There are many things you can do involving water, like fishing, sailing or going on a cruise. Sports: Playing sports such as swimming, biking and golf will help you stay healthy. Florida has the largest number of residents over 65 years of age in the USA – 3.6 million or 20%. There are numerous Active Adult Communities (AACs) suitable for everyone’s needs and budget. 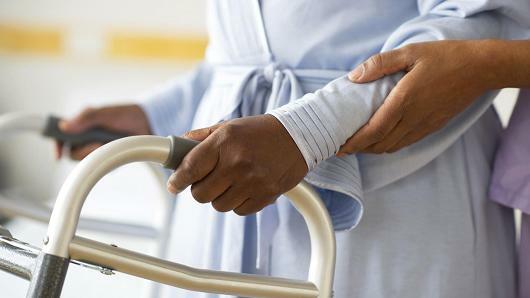 The state has 683 nursing homes with more than 84,000 beds and 3,100 assisted living facilities with over 100,000 beds. Furthermore, there are 70 Continuing Care Retirement Communities (CCRCs) with 40,000 senior citizens. Healthcare should be a priority for all of us, especially seniors. One of the best reasons for moving to Florida after retiring is that you have so many health care options. With excellent hospitals and healthcare centers, you’ll get the medical support you deserve. But bear in mind that health care varies depending on where in Florida you live. Emergency treatment is available for everyone in some hospitals, whether they have money or not. Unlike north Florida, south Florida is too hot and humid during the summer months, so most people avoid going outside in the middle of the day. You would rely on air conditioning a lot. The sun is really strong too, which can be very harmful to the skin. The worst part of the year is the hurricane season. Thunderstorms happen regularly and may cause a lot of damage. We all saw the devastation that hurricane Irma left a few months ago. This is one of the main reasons why so many people are reconsidering their decision to move to Florida after retiring. In 2004-2005, after a series of hurricanes, property insurance rates increased significantly. Consequently, many people changed their mind about Florida, opting for other states. The impact of recent natural disasters is yet to be seen. On the bright side, the state is prepared for dealing with hurricanes, with good emergency plans and well-trained people. Due to climate change, cities along Florida’s coast suffer from costly flood damage, Miami and Tampa being the most vulnerable. Traffic congestion is a nightmare, especially in South Florida. The main cause of this issue is the density of the population. There are not enough highways, the number of drivers and vehicles is growing, the number of tourists is also growing. In addition, very few people use public transport. Overall, the roads are good, but public transportation isn’t. Bus service is poor and the car is necessary. With so many bad drivers out there, you should be extra careful. Another downside of living in Florida is the high crime rate. Some of the most dangerous cities in America are located in this state. There are over 1,100 murders per 100,000 people annually. Gang activity is also a serious problem. Although Florida has been the most popular state for retirees over the past 10 years, recently it has been losing popularity. Whether it will remain the retirement haven it is today, only time will tell. 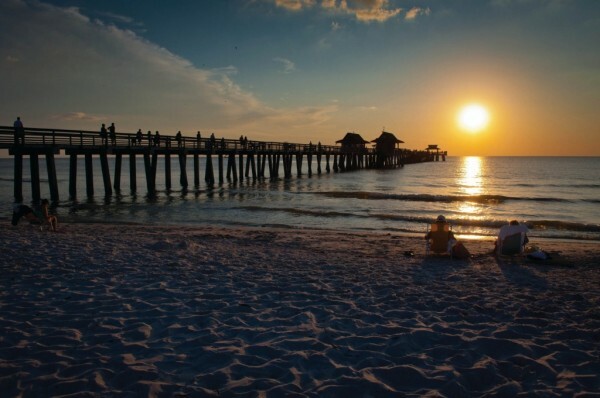 Now that you know a few things about moving to Florida after retiring, the decision is yours. Keep in mind that retirement is the time to reap the benefits of a lifetime of work, so be careful when choosing where to spend it.